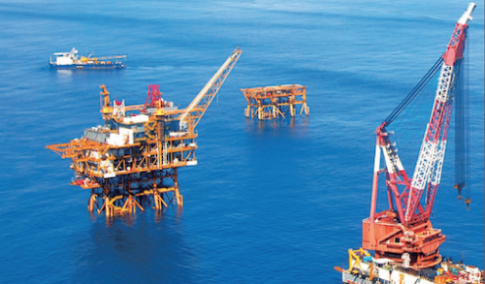 China National Offshore Oil Corporation (CNOOC) has announced that it has opened tendering for 18 offshore blocks covering an area of 52,257 square kilometers for foreign companies. The 18 blocks include three blocks in the Bohai Rim, one in East China Sea, and 14 in the northern part of the South China Sea. CNOOC said it will offer flexible and favourable cooperation to bidders and is open to discussion on collaboration proposals. “The terms and conditions regard to the exploration period, relinquishment and payment on the signature fees can be flexible if the block area belong to the deepwater area, deep play structure and HTHP structure; With the precondition of CNOOC acting as the operator and the investment from the contractors can be guaranteed, the investment companies or the investment consortium will be welcomed to bid for the open blocks,” CNOOC said in a release. CNOOC plans to drill 115 exploration wells in 2015 and produce around 470m to 485m barrels of oil in 2016, compared to 495m in 2015.